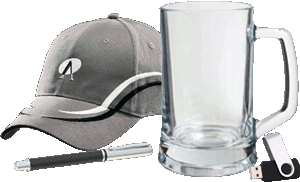 There are 30 listings available, you are viewing 1—20. 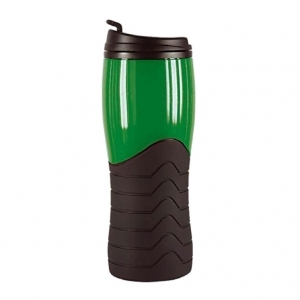 400ml double walled plastic thermal mug with a push on lid. 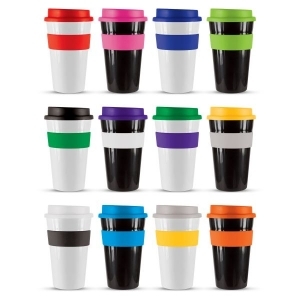 Unique 450ml reusable coffee cup with a secure screw on lid complete with a flip top closure. 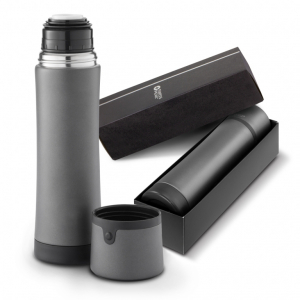 Has a neoprene insulation sleeve that keeps drinks hot for longer and is super comfortable to hold. 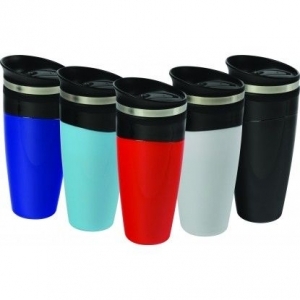 300 ml double walled coffee cup with a secure screw on lid that will keep coffee hot for longer. 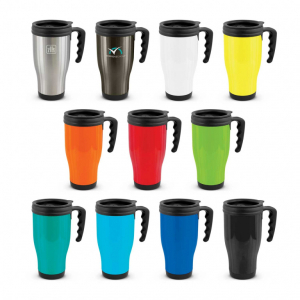 Very popular reusable coffee cup with a heat resistant silicone band and a screw on lid. 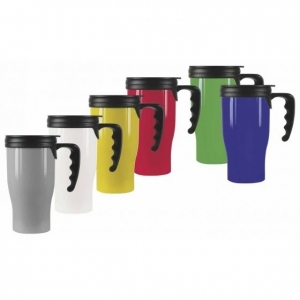 It is manufactured from tough food grade polypropylene which is dishwasher safe, BPA free and recyclable. 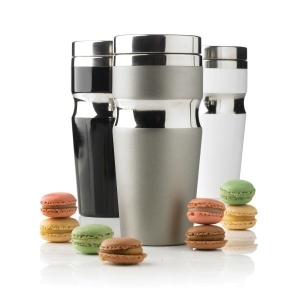 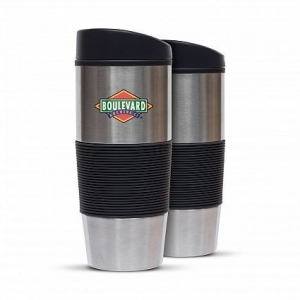 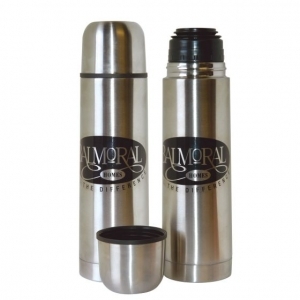 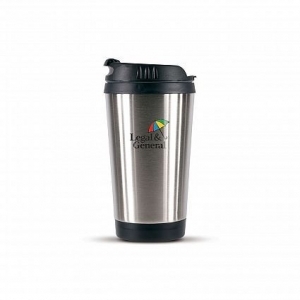 Classically designed double wall thermal tumbler with shiny chrome accents and lid. 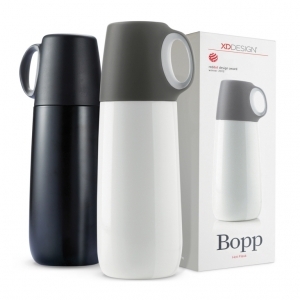 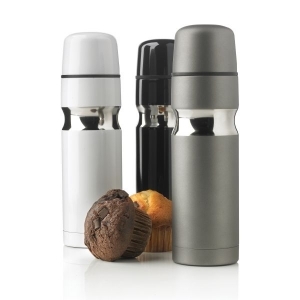 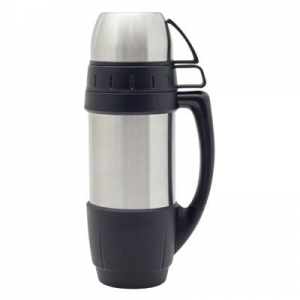 With its flowing curved body and efficient push button operation, hot or cold beverages can't help but taste better when poured from a Swiss Peak Vacuum Flask. 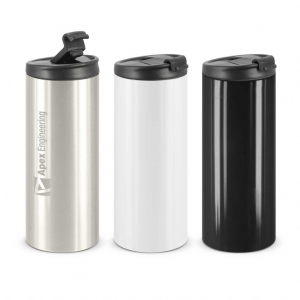 Robust 1 litre stainless steel vacuum flask that's double walled to retain heat so you can look forward to a hot (or cold) drink even after a 24 hour adventure. 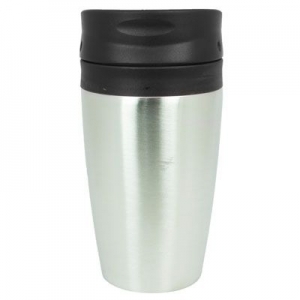 350ml double wall thermal mug with a tough stainless steel outer wall, plastic inner wall and secure screw on lid. 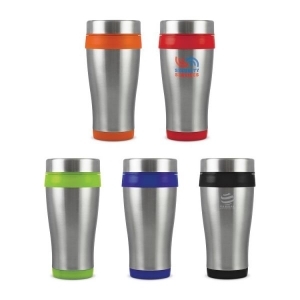 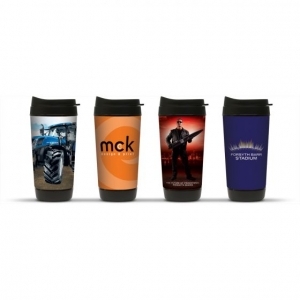 300ml thermal mugs with a tough stainless steel outer wall and plastic inner wall. 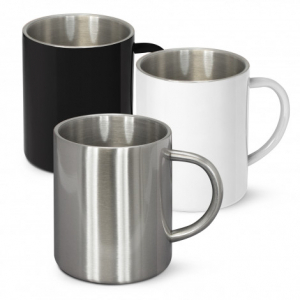 Trendy 400ml double wall stainless steel coffee mug which keeps drinks hot for longer and prevents the outside of the mug from heating up.